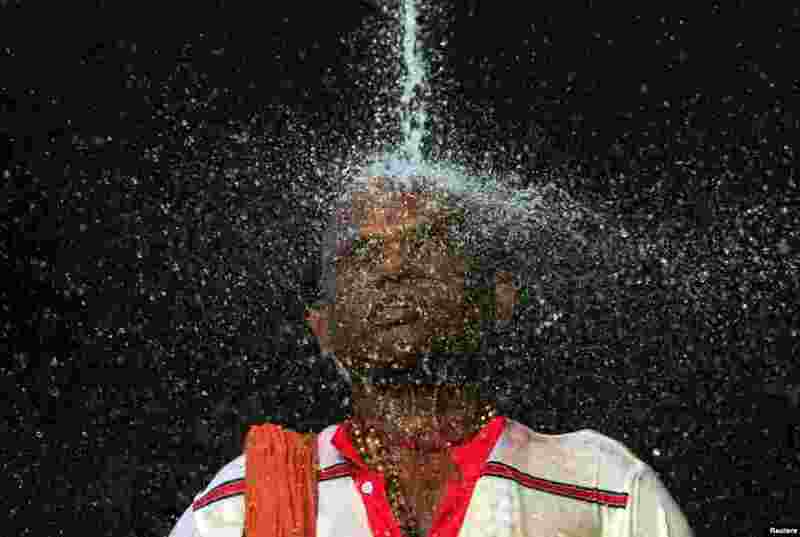 ١ A Hindu devotee takes a ritual shower before he starts his pilgrimage to the sacred Batu Caves Temple during Thaipusam festival outside Kuala Lumpur, Malaysia. Thousands of Hindus participate in the annual thanksgiving festival in which devotees subject themselves to painful rituals in a demonstration of faith and penance held in honor of Lord Subramaniam. 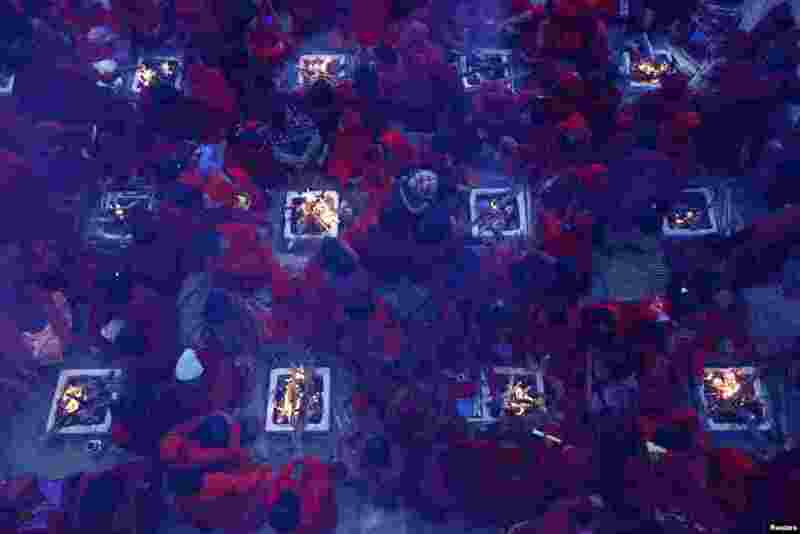 ٢ Hindu women sit around fires to warm themselves up before taking a holy bath at Saali River during the first day of the Swasthani Brata Katha festival at Sankhu in Kathmandu, Nepal. ٣ Kei Nishikori of Japan holds an ice pack to his face during a men's singles match against Dusan Lajovic of Serbia at the Australian Open 2014 tennis tournament in Melbourne. Organizers have been slammed for forcing players to play in searing temperatures. 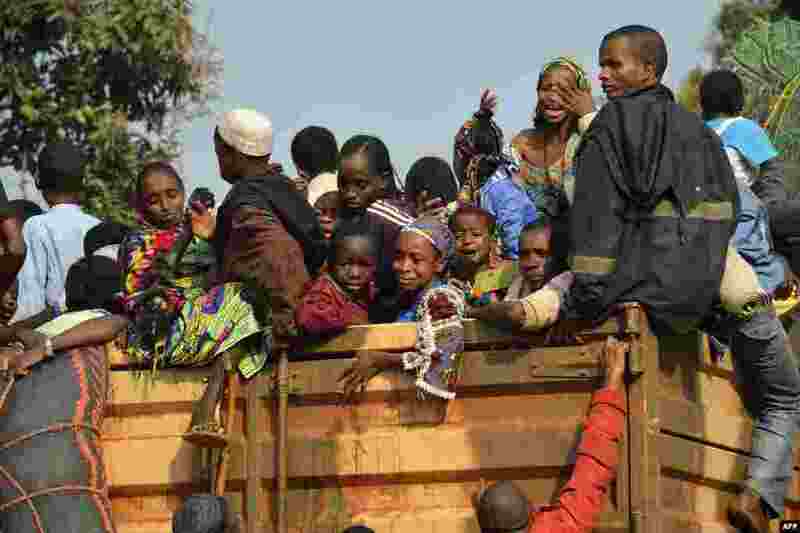 ٤ Chadian civilians sit on a Chadian military truck in the PK12 district of Bangui to flee the Central African Republic and return to Chad.